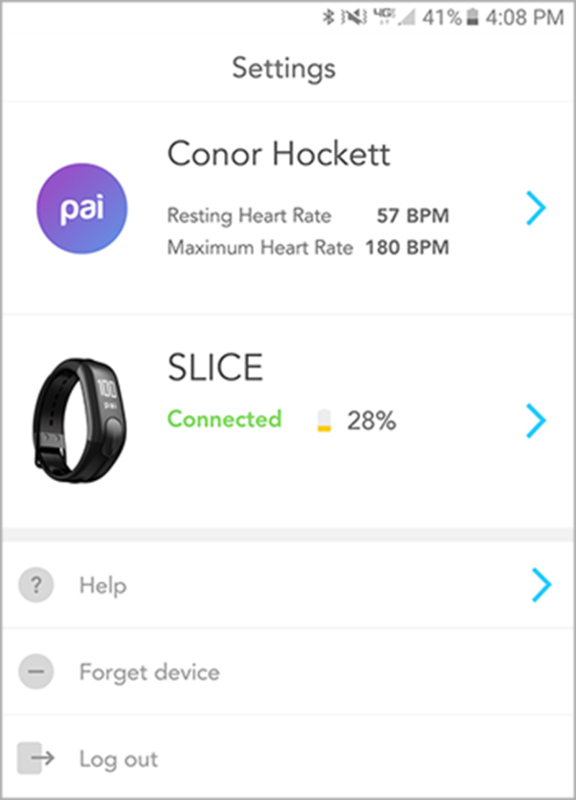 Personal Activity Intelligence (PAI) technology gives the Mio Slice something that few other activity trackers have: a way to make biometric data relevant to the average user. This feature lets you track your overall health more intelligently, rather than blindly shooting for the highest number in each fitness category. Excellent water-resistance and accurate heart rate readings supplement the PAI technology, but in many ways, the bad equals the good. As unique as this device is, the uninspiring design, dysfunctional notifications, and display limitations make the Slice ($129.00) harder to sell as an everyday device. At CES 2017, Mark Gorelick — Mio’s Chief Science Officer — discussed how fitness wearables don’t provide enough insight into data to trigger action and behavioral change. Until these devices become more than just “dashboards for movement,” the industry will keep struggling to reach the average consumer, he said. PAI technology is Mio’s answer to that issue. Instead of basing your fitness level off a traditional 10,000 step goal, the PAI system uses an algorithm to turn your heart rate data into a personal health score. Users earn points by upping their heart rate intensity, and the closer your readings get to the maximum heart rate level designated in your profile, the more points you receive. People who keep their score above 100 PAI over a rolling seven-day period are more likely to live longer and stay healthier, according to Mio. This technology really pays dividends during workouts that don’t involve running. Because the PAI system analyzes every movement you make, it gives you a better idea of how activities like yoga, weightlifting, and rock climbing affect your fitness level. There’s no better example of the PAI difference than my experience at a PGA Tour event. I followed different golfers all around the course, and by the end of the day, my step count was at 11,500. On a device like the Fitbit Charge 2, this would earn me a congratulatory alert. On the Slice, it didn’t earn me a single PAI point. Because I was constantly stopping and starting to watch shots, my heart rate didn’t reach the necessary intensity level. 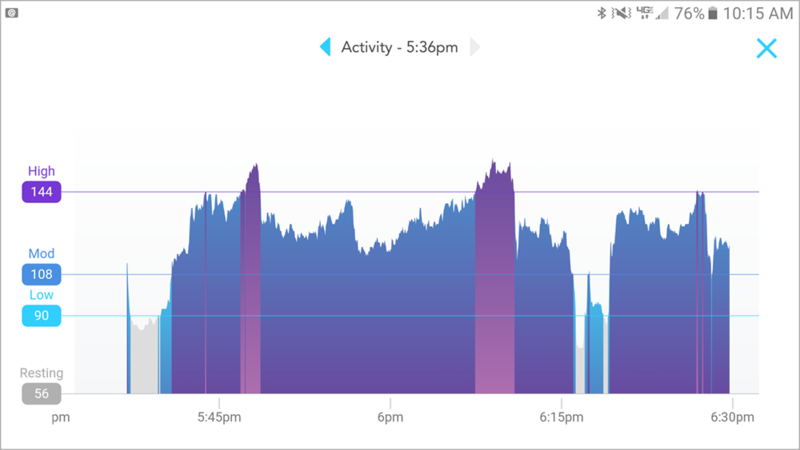 There’s no denying I was active, but based on PAI technology, I did little to impact my overall health and fitness. 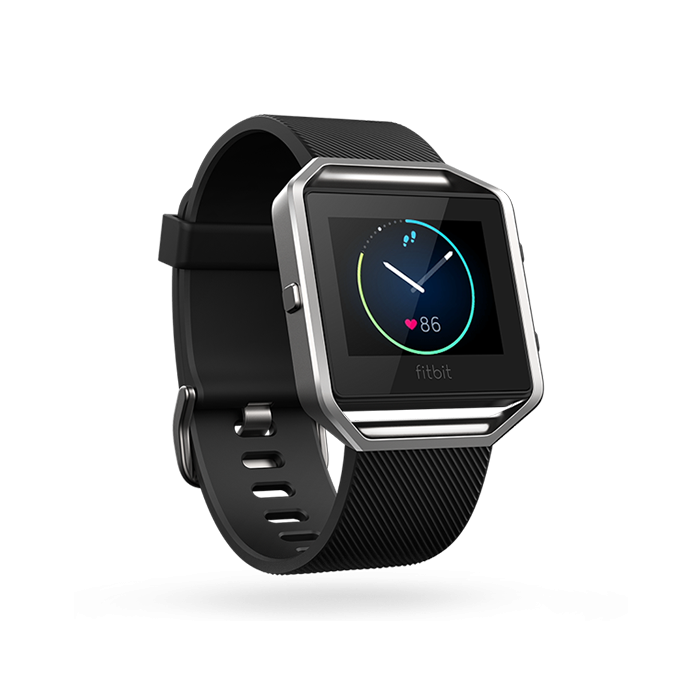 The Slice tracks most of the standard fitness metrics, but advanced heart rate monitoring sets this device apart. 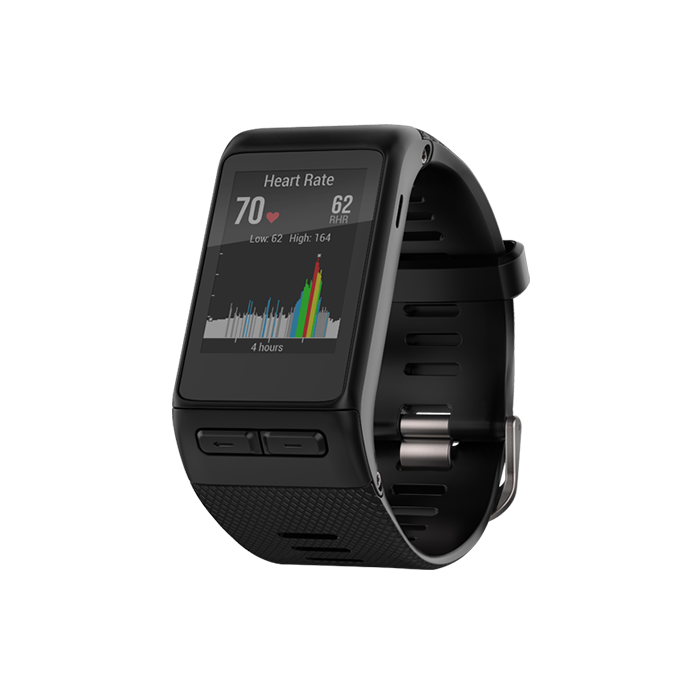 As wrist-worn wearables go, the Slice’s continuous heart rate technology delivers some of the most accurate results on the market. Readings consistently registered within five to eight beats of a chest strap, and they came without the occasional spikes of the Withings Steel HR. Mio’s advanced heart rate technology acts as a form of automatic exercise recognition as well. Whenever your heart rate passes a certain threshold, the device starts recording stats for that exercise period. Once you’re finished working out, push and hold the home button to end the session. Holding this same button at the beginning of a session also enables exercise tracking. 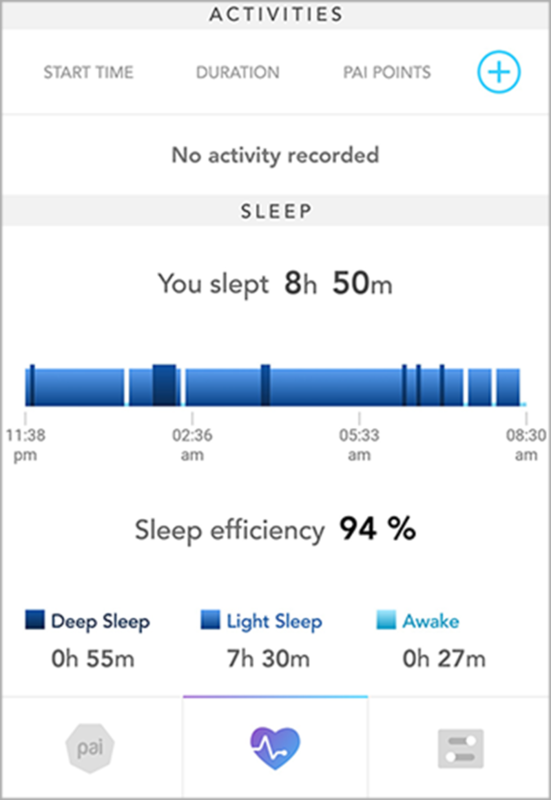 While it’s no Jawbone UP3, the Slice provides enough insight into sleep quality to make sleep tracking a worthwhile feature. Time spent asleep is the only statistic available on the device, but there’s a lot more data in Mio’s app (more on it in a minute). 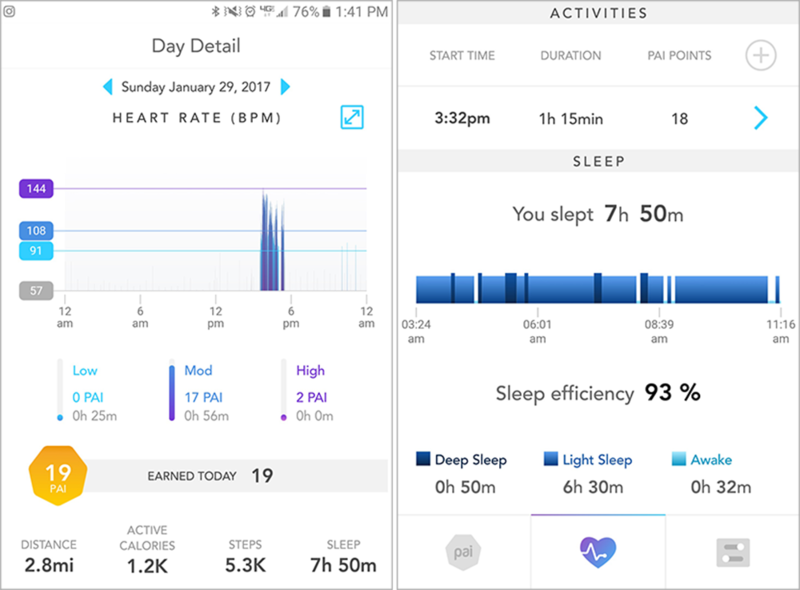 In the sleeping section of the app, users can view their sleep efficiency, time spent asleep, and a graphical breakdown of their nightly activity in bed. The bar graph distinguishes how much time you spent awake, in light sleep, and in deep sleep by color. Because the Slice’s heart rate technology is so advanced, I trust these results more than similar breakdowns on other devices. Mio’s app is simple, but effective. It contains three different tabs: a graph of PAI points, a daily activity breakdown, and a settings menu. The Slice shows the bare minimum of activity details, so any time you want to view workout details, sleep quality, or more advanced fitness data, you have to go to the app. I want to reiterate the importance of making sure the heart rate details within your profile are accurate. 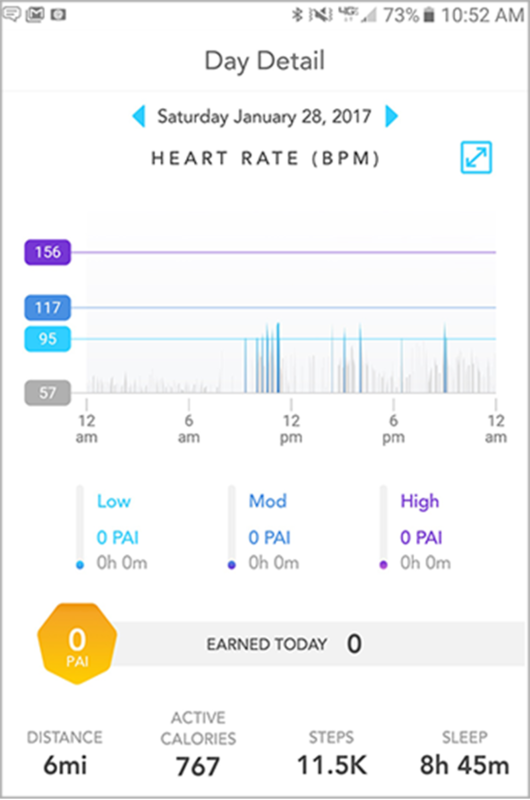 Mio factors your maximum heart rate into its PAI algorithm, so filling in random numbers when you’re setting up your profile compromises the integrity of your points. Setting these profiles up is annoying when all you want to do is get into the app, but this one deserves your attention. I never thought I’d run across a device with poorer notification support than the Moto 360 Sport, but the Slice takes the cake. Mio’s latest fitness tracker is supposed to receive text message and phone call alerts, but they don’t come through on the device. I purposefully ignored text messages for minutes at a time to see if they would register on the Slice, but they never did. Same thing with phone calls. Mind you, I was holding my Samsung Galaxy Note 5 right next to the Slice on my wrist, so Bluetooth range wasn’t a factor. Display settings and other data points transferred seamlessly between my phone and the device, so these connectivity issues were strictly limited to phone notifications. While I realize notification support isn’t one of the main reasons people buy activity trackers, including a dysfunctional feature only hurts the Slice’s appeal. Although the Slice is lighter and slimmer than Mio’s previous activity tracker — the Alpha 2 — its design upgrades don’t translate to style points. The Alpha 2 isn’t all that attractive, but splashes of color around the screen at least exhibit some personality. 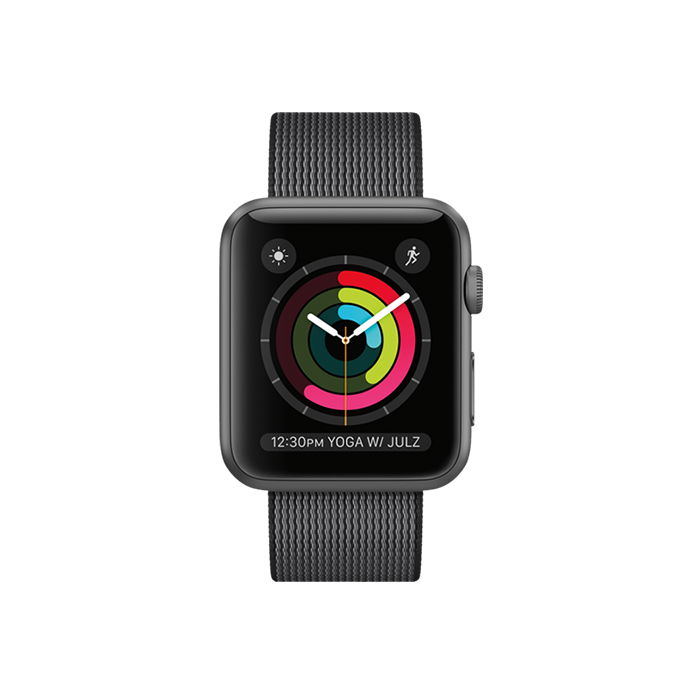 The Slice’s monochrome, OLED display looks exceptionally bland, regardless of band color. The Slice doesn’t have an always-on display, but the screen lights up whenever you turn your wrist toward your face. 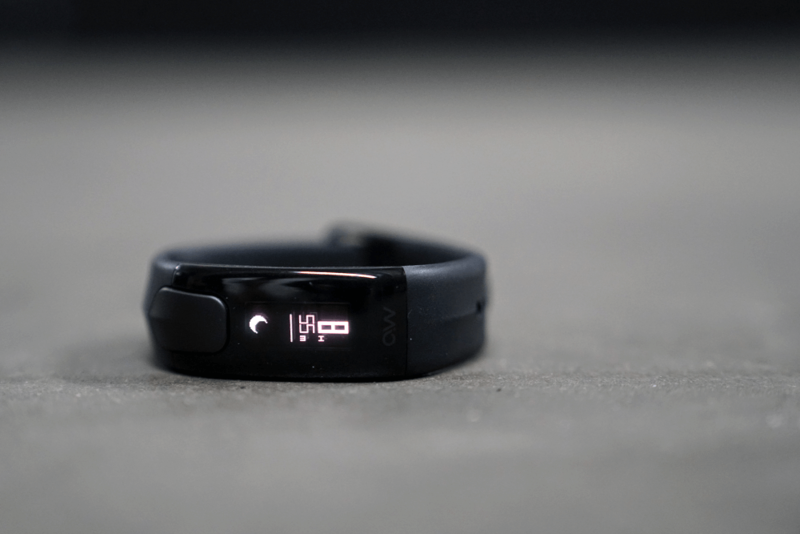 Mio refers to this setting as auto-on display, and it provides workout progression at a glance. Unfortunately, the screen dulls dramatically in direct sunlight, so runners, cyclists, and anyone else that exercises outside will have a difficult time viewing their fitness data. Mio kept the interface very simple with the Slice. 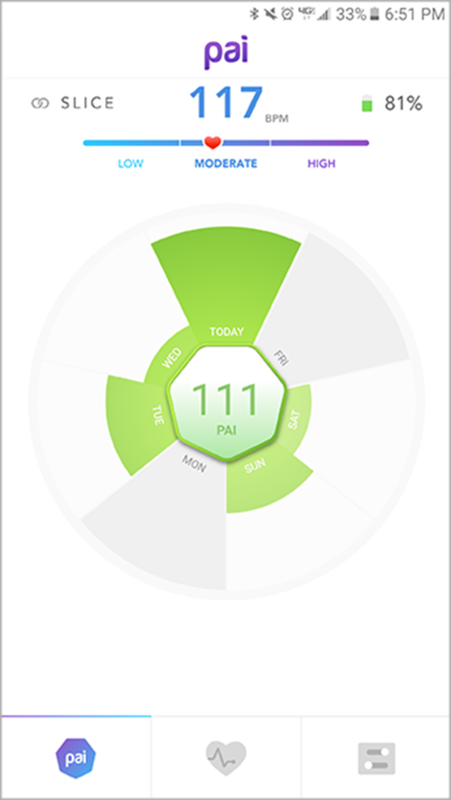 A large button near the bottom of the screen lets you click through PAI points, fitness metrics, and sleep data on the device. 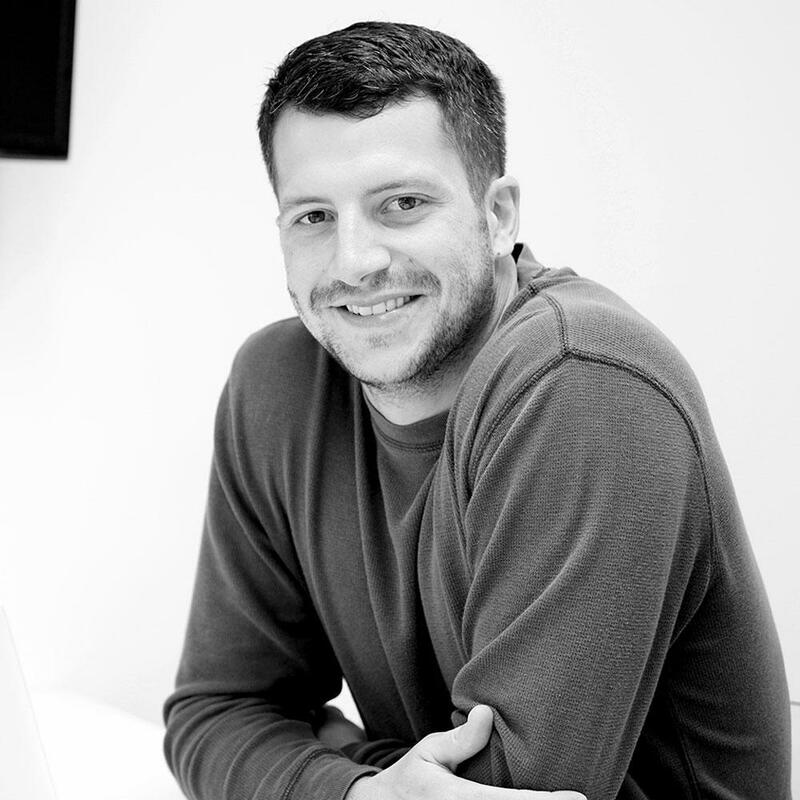 Users designate what information they want to see on-screen through the app. Mio’s PAI system properly accounts for exercises like paddleboarding, outdoor rowing, and swimming, but this technology alone means nothing if the corresponding device can’t withstand watersports. Fortunately, the Slice is water-resistant down to 30 meters, so showering and swimming with it on presents no problems. Wristbands for the Slice aren’t interchangeable, but they are available in four different colors. Mio also offers two different band sizes that fit wrists ranging from 5.5 inches to 8.25 inches in circumference. In terms of comfort, the Slice passes the sleep test. It’s no Samsung Gear Fit 2 , but the device’s TPU strap doesn’t restrict your movement, pull out your arm hair, or attract much dust. It also dries quickly and doesn’t slide up and down your wrist, which helps ensure the accuracy of its heart rate measurements. Mio claims that the Slice’s battery lasts up to five days depending on usage and settings, which lined up with my experience. My device typically lasted three and half to four days, but I used it extensively during workouts and for sleep tracking. 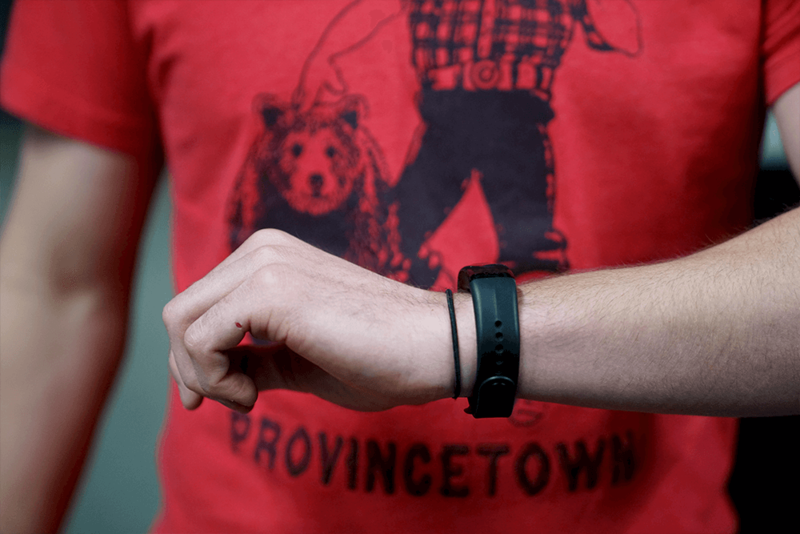 This timeframe rivals most fitness trackers on the market. Battery life isn’t available on-screen, so you must pull up the app anytime you want to check the status. This is pretty inconvenient, but a low battery alert does pop up in the display when you’re down to 10%. The Slice charges through a magnetic clip that plugs into any USB port. Recharging typically takes between an hour and an hour and a half. Mio Slice Review: Worth It Or Not? Bolstered by its PAI technology, the Mio Slice offers a unique fitness experience that you just can’t get with many other activity trackers on the market. If number counting isn’t working for you, this device is your best bet. But for those who value style and performance equally, you should probably look elsewhere.